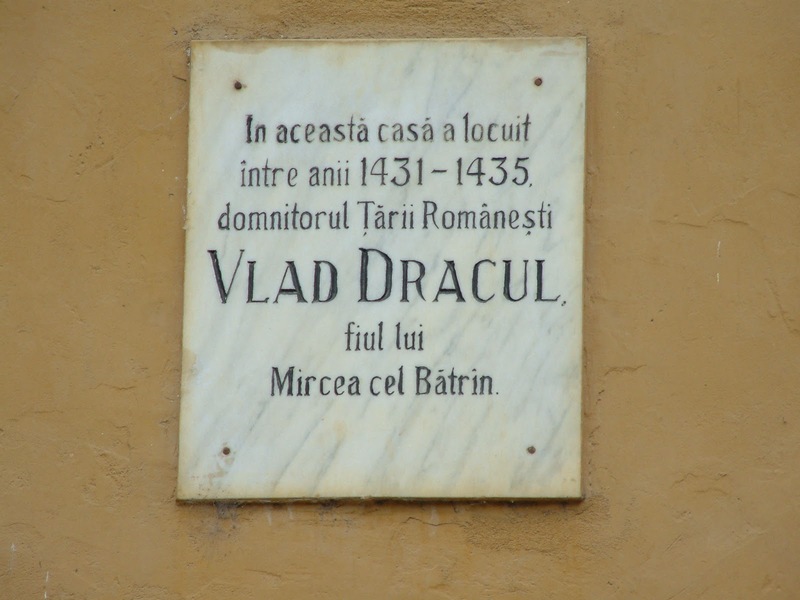 Vlad Tepes III was a prince of Wallachia, a principality that neighboured Transylvania- both of which are now a part of the country of Romania. 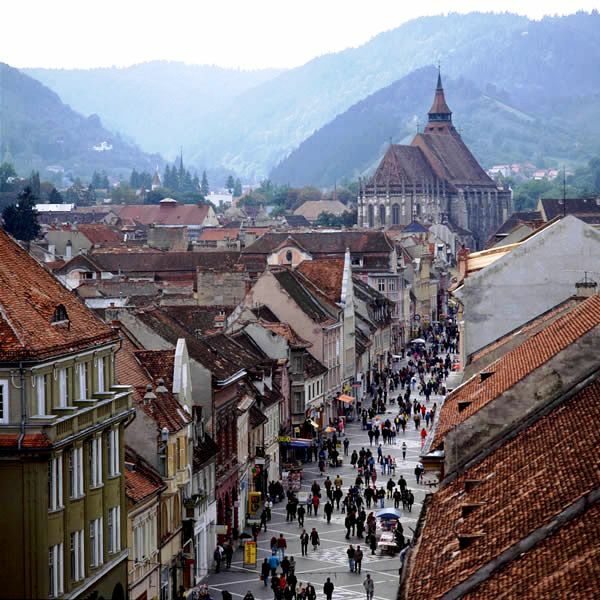 He was born in a small Transylvanian city Sighişoara. A monument there tells tourists about his place of birth, as well as this plaque. 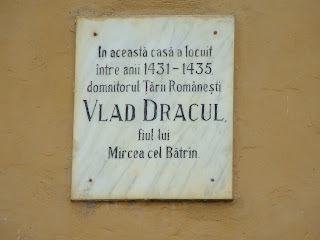 Note that it does not say the name: Vlad the Impaler- his name on the plaque is Vlad Dracul. This was a name given to him by his opponents. The Saxons of the city of Braşov count among them. 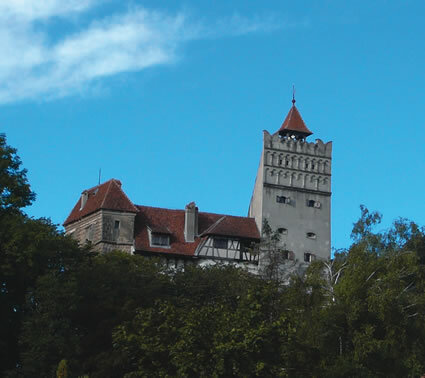 (Incidentally, the city of Braşov is close to Bran Castle.) The Saxons suffered many punishments because of him, although accounts vary regarding the number of people killed on Vlad's orders. The most common means of execution was by being impaled with a stake. This was not where he learned the art he became famous for. He was given to the Ottoman sultan where he was treated cruelly, and then he fought against the Turks for many years. He eventually had children, and several nieces and nephews, and one of his descendants, a Hungarian, Countess Claudine, gave birth to Francis of Teck. Fracis of Teck married a British Princess and their daughter, Princess Mary, eventually became Queen of Great Britain. Vlad the Impaler is one of her ancestors. This has not led to a great "reinterpretation" of Vlad's reputation by many people in the Western part of Europe or in North America. They still perceive him as Vlad the Impaler, or even as Count Dracula. 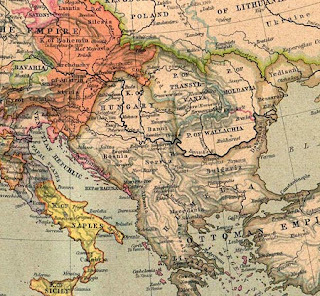 Romanian sources describe Vlad Tepes more positively. Perhaps this is because Wallachia was one of the two areas that united to become the Princedom of Romania. 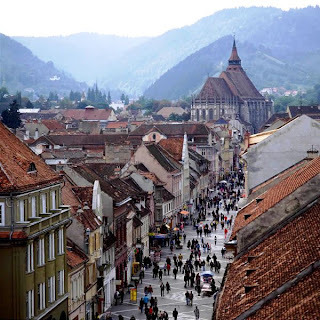 You can read more about Transylvania in my book In Search of the Lost Ones.